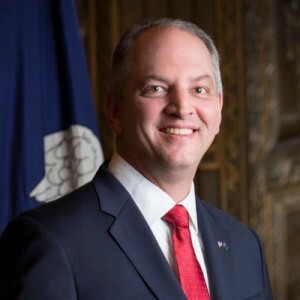 GRAMBLING, LA – November 26, 2018 – Today, Grambling State University’s Presidential Leadership class will host Louisiana Governor John Bel Edwards as a guest-instructor at 10 a.m. in the University’s Distance Learning Laboratory. Twenty-four students will participate in today’s live discussion on leadership, education in Louisiana, and the needs of students at historically black colleges and universities throughout the state. Grambling State University’s Presidential Leadership aims to grow cohorts of up to 30 students into service-driven leaders who will have an impact on and off campus. Inaugural class participants include students studying entrepreneurship, engineering, communications and a variety of other disciplines. For photos, video, interviews and more information on the Leadership course, please contact mediarelations@gram.edu or call 318-243-5012. Grambling State University, located in Grambling Louisiana, is a historically black university founded in 1901. The University has been accredited by 13 accrediting associations and holds accreditations in all programs required by the Louisiana Board of Regents. The 590-acre campus offers 41 undergraduate and graduate degree programs. Grambling State University is a member of the University of Louisiana System. For more information, visit gram.edu. This entry was posted in campus, events, press release on November 26, 2018 by Jovan Hackley.